Little did I think a fortnight ago, when running the rule over Kerry ahead of that upcoming Saturday night meeting with them in Tralee, that here we’d be contemplating a second March clash with them. This one in Croke Park to boot, for possession of the not insignificant matter of a National Football League title. Ahead of that game there wasn’t any great optimism in our camp about making it to HQ for the decider this Sunday. Facing into the Tralee match we were coming off the back of dispiriting defeats to Dublin and Galway, with the possibility of losing four on the spin to conclude this year’s Division One campaign a real and present danger for us. But, of course, the win against Kerry – followed by victory over Monaghan last Sunday, coupled with Tyrone beating both Dublin and Galway – has opened the door to the League decider for us. Kerry had all but qualified before we took them on the Saturday before last and they made sure of their place in the final last Sunday by beating Roscommon, a result that also confirmed the Rossies’ relegation from the top tier. There’s no need, then, on this occasion to compile a fact-laden post detailing what the weekend’s opponents have been up to over the last while. The one I did for the Tralee game is linked above if your mind needs a jolt in that respect. For this one, I think it’s worthwhile looking at how we’ve fared against Kerry in matches at Croke Park. This doesn’t make for pretty reading when using a wide historical arc but, narrowing the lens in on this decade, the narrative is a very different one. Let’s get the ugly bit of the story – from our perspective – out of the way first. 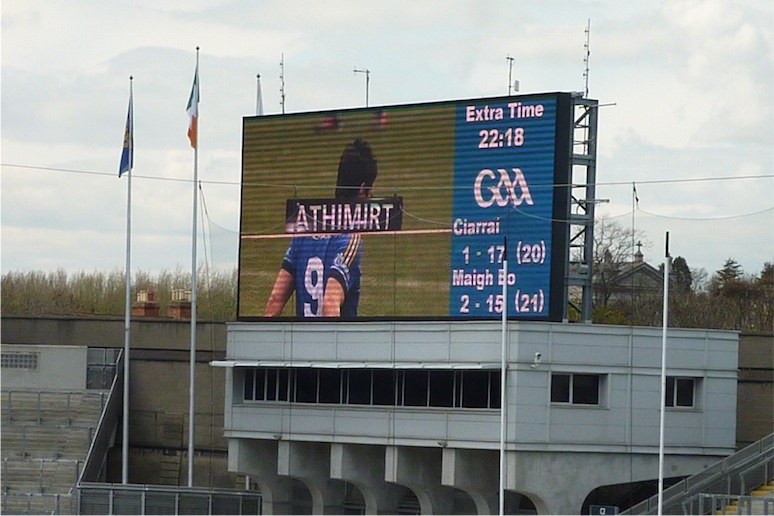 Back in 2011, I did a post detailing our complete record (at all venues and covering both League and Championship) against Kerry. This didn’t contain the kind of data that would make your average Mayo fan jump for joy. Back then, the most recent time we’d beaten Kerry at HQ had been in the 1996 All-Ireland semi-final and the time before that was the 1951 All-Ireland semi-final replay. Since those sepia-tinged glory days and – ignoring that 1996 win – we’d lost to Kerry at Croke Park in 1952 (League semi-final), 1969 (All-Ireland semi-final), 1971 (League final), 1972 (League final), 1981 (All-Ireland semi-final), 1997 (All-Ireland final), 2004 (All-Ireland final), 2005 (All-Ireland quarter-final) and 2006 (All-Ireland final). Surveying the scene as I did back in 2011, we’d only three wins ever over Kerry in Croke Park to our name – as well as the 1951 and 1996 semis, we’d also beaten them at the same juncture of the Championship in 1948. But overall the picture of HQ encounters with the Green and Gold, dating all the way back to 1924, was a grim one – twelve wins for them, three for us and one draw. Later on in 2011, of course, Kerry added another victory over us at Croke Park to that list. We came into that All-Ireland semi-final on a high, having dumped out defending champions Cork in fine style three weeks earlier, but although James Horan’s young team showed no fear taking on the medal-laden Kerry stars, ultimately they won easily enough that day, on a scoreline of 1-20 to 1-11. But since then an odd thing has happened. We’ve stopped losing to them at Croke Park. Since 2011 we’ve played them four times at the venue and we’ve won twice and drawn twice. We did, it’s true, lose to them in Limerick in the replayed 2014 All-Ireland semi-final, but going into Sunday we’ve now got a long unbeaten record against them at HQ. The first of those four matches was the extra-time League semi-final thriller in 2012. They should have beaten us in normal time but a late penalty goal from Pat Harte and an even later free by Cillian O’Connor pushed the game to extra-time. Conor Boyle got a wonder goal for us in extra-time and then Richie Feeney sealed the deal for us with a delicious winning point. 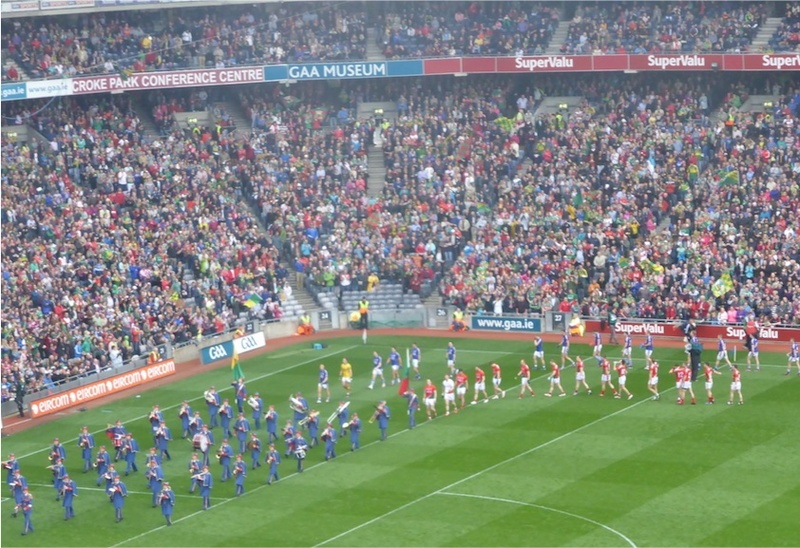 The drawn All-Ireland semi-final of 2014 was one of the most enthralling matches I’ve ever been at involving us. Seemingly holed below the water-line before half-time with the incredibly harsh decision to send off Lee Keegan, we trailed by four at the break and looked finished. Memories of the ferocity of our second half comeback that day still gives me goosebumps, as we turned that four-point deficit into a five-point lead with just five minutes left to play. But it was a lead we failed to hold onto, conceding a late goal and giving them that fateful second chance which they exploited to the full down in Limerick. The drawn All-Ireland semi-final in 2017 was equally enthralling. Twice we pushed ahead decisively – with goals from Andy Moran and Colm Boyle – but both times Kerry responded in kind. We trailed by a point going into injury time but then up popped Paddy Durcan to smash over the equaliser and give us a second go at them a week later. It was opportunity we took with relish. We dominated the replay from start to finish, on one of those great Croke Park days for us when, a full half-hour or so out from the final whistle, it was all but certain the day was going to be ours. Andy’s goal lives long in the memory from that day but so too does the controlled way we saw out that match, never letting Kerry back into it and winning in the end by five points. So this means that on Sunday we’ll be looking to extend that unbeaten run over them at Croke Park to five matches. Those who might tempted to gainsay the significance of this statistic would do well to think back to when we were getting hammered out the gate in those finals of 2004 and 2006. Then, we’d have been happy merely to keep the beating down to respectable margins. How much of this means anything for Sunday? Not a lot, you’d have to say. In a match where, the GAA have stated, there has to be a winner on the day, it’s Kerry who – unsurprisingly – are favoured by the bookies to lift the silverware. Paddy Power have them on offer at 8/15 to win out. But, let’s give you the final say on Sunday’s decider. How do you think the League final will go? Will we win the League final? We’ll win. I’ve no fear that we won’t. Let Kerry worry about stopping us play and not having us focus on limiting Walsh / Clifford / O’Shea. Be mindful but JH has his fresh stamp and strategy on our play and when we implement it Kerry don’t have the midfield or backs to stop us. I do think it’ll be an open game but perhaps not to high scoring. As for our team selection, I can half make my mind up but as for the starting 15 and subs I’m at a loss. So many players showed very well across the league in various positions. Backs – has to be Harrison, Higgins, Durcan & Coen. 2 also to choose. As for number 1, I can’t decide! Anyway, looking forward to Croker. A nice walk up Jones Rd after with a win. I have read reports of Cilian and Tom Parsons doing a bit of running, any word of Ryan o Donoghue training he would be a great addition to our forward line. We were the only team to beat Kerry in the league. At the stage we played them, they didn’t have much to play for. They were in front of an expectant home crowd in tough conditions against a decent team. A few early wides didn’t make it easier for them. We had also played a couple of Saturday matches in similar conditions, so were well aclimatised from that perspective. Kerry are the form team of the league and to stay within 5 and get the experience would be all good. Would much prefer a win in Championship, but voting for a Mayo win, as always. Heard from a great source, that Mayo are going to start with 15 the next day. Don’t be surprised if this finishes level. Then goes to extra time and still level. Then a second extra time and still level. Then penalties. You wouldn’t rule it out would you? Not with Mayo involved. I hope we are practising our penalties. As long as they finish with 15………….,,!! It’s hard to know who JH will put out. I think I would stick with giving the young lads a chance to play in Croke Park. This mightn’t suit some of the more experienced lads but we already know what they can and cannot do. If one or two new lads really stepped up to the plate wouldn’t that be good progress. *Colm Boyle * WJ! just the way the league has gone so far it’s hard to judge this. But we’ve hit 2 good wins in a row, were missing a plether of players v Monaghan, still kicked 3-15 and when our starting 6 backs that score against would have been a lot less. Optimistic about Sunday, but either way, win or lose its been a fantastic league and one where we can say we have a very strong panel with real depth! NiallMc – I’d probably go with that starting 15 also. Some tough decisions for Horan to make but Coen would add a bit of height in the full back line and with the likes of Higgins, Boland, Vaughan, Moran coming in off the bench to add a bit of spark in the second half – we might just have that bit extra that we’ve missed in the closing quarter of previous finals. We have to take the game to them for the full 70+ mins. Our % of chances converted is good in Croke Park and we need to beat Kerry on this stat to win out. I went for Kerry the last time and was wrong. Went for Tyrone early in the League and was wrong there as well. I think if I go for Kerry we have a great chance. Ideally we want to play out of our skins and win, however, If we play well with young lads on the team and make a right game of it I’ll still be happy. Its great to see 2 teams in the middle of rebuilding getting to this final. I’ll settle for the same pairing in the All Ireland final later in the year. I hope the cute Kerry lads weren’t pulling a fast one by allowing us to win In Tralee, knowing that by doing so there was a good chance they would be meeting us again in the final and fancy their chance of beating us in Croke Park rather than facing a fast improving and hard tackling Tyrone team. We need to beat Kerry on Sunday in the League Final, why it is a Final and it is in Croke Park, and we need to put down a marker for further down the road. It is televised and most people feel sorry for us seeing us beaten in so many finals and this is a great chance to show that we are well capable of winning a National Title in Croker against a Kerry team who have demoralized us in numerous finals. We have an exciting group young players mixed with a great group of seasoned warriors a good recipe for success. We as Mayo people do not want sympathy from anywhere, we had great days with our lads, and under James mark 2 we are about to set off on another new venture where ever it takes us. We will support our Team and management and we will beat Kerry on Sunday. We will win C.F. and if we run at the Kerry backs scores will come. Tommy Walsh will be looking for soft scores from the mark so we have to stop him catching the ball. We will win this game but have to play for 75 mins. and don’t let them back in to the game like in the Monaghan game. I’ll be surprised if Robbie’s not the 1. Played out of his mind last time out at CP vs the Dubs. If we score more than them , we will win !! Bonus trip to Croker that I’d certainly didn’t expect as with 5/6 changes made each match , finding new players was JH priority . I know history has to be mentioned but this current Kerry team, don’t have anything to do with the former drubbings we shipped last decade. 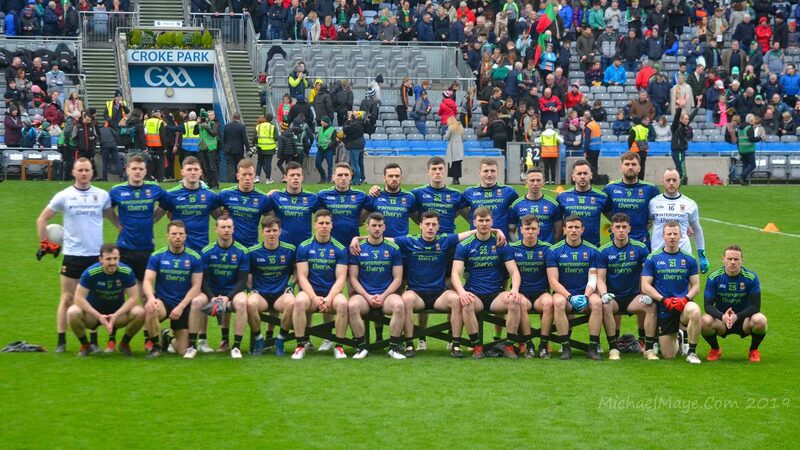 This current Kerry crop, winners of a mountain of underage silver and the rest of the team haven’t put any hex on us at all..and the win in Limerick…well I won’t mention referring…..i just did…..Its the opposite if you look at Wille Joe’s recent stats, we hold the balance. I am heading to this game with no fear whatsoever because while obviously a win would be the best result, a good showing in a tight game wouldnt be the end of the world. We are building and while the trusses are up the the slates are still being lifted onto the scaffold. The dubs are delighted with the league result.. The 2 teams who could rattle them…on show in a final….Jim and co will be downloading footage from even the seagulls on Monday. The final, well having lads to come on in the game to strengthen us….what a place to be in. I think we should play our game first, rack up confidence boosting early scores…play into the hill end first ( the optical illusion of the davin results in many lads dropping efforts short). Kerry have plenty of scorers up in the front 6, and will relish the freedom of CP, if given it. I think we need a sweeper if we go ahead late on and our own conversion rate needs to be as high as the monaghan game. It’s good too that while Donie Buckley knows our lads like the back of his hand, our league additions wouldn’t be fully decoded to the Kerry management. I am confident of a decent game, we will need a goal or two to keep up with their point scoring ability and i am looking forward to celebrating our league win with my Kerry in-laws on Sunday night….I’ll be the one who’s buying the drink. Going to have a stab at the team, isn’t it great to have a few selection headaches 🙂 actually difficult to pick it. Coen is in my team, just for the fact that he marked Walsh in Tralee. Higgins to be let loose around half back. Aiden has had a lot of ups and downs in the league like many others, he put in a good performance last week and an excellent performance v kerry the week before. However are we ever going to learn that he cannot operate at midfield in Croke Park especially on a fine day and hard pitch. It’s just too big for the big man. Anyway hope JH knows realises this and plans accordingly. Its Ruane and Keegan for me, a dynamic, explosive, athletic midfield. Aido has never looked fitter so would disagree with that analysis. Had been midfielder until 2013 final which was the greatest exhibition of kickouts in 2nd half I have seen. It was also 23 degrees. On a very warm day I wouldn’t leave him there for 70 mins but in late March I wouldn’t be too worried. He did a serious ammount of chasing down in Tralee on very heavy leg sapping ground. As for who to play I’m at a loss. Against any other team an ever improving Stephen Coen wouldn’t make my team but either him or Donie needs to be there for Walsh. If Walsh doesn’t start, no problem, Coen does the simple things well anyway. However EOD for me will prove in time to be a rising star. Whoever starts I would like to see all available stalwarts given some game time as a league final victory is still an achievement worth having. OK if it’s a choice between Kerry now or the Rossies in a few months I pick the latter but still exciting to be in the final so let’s go for it. Kerry will improve from Tralee (their blip) so we’ll have to be very good to win it and that prospect excites me. We have the panel to trouble them just as much as vice versa. I think you are over reaching just a little if you think Kerry had a master plan in the polar weather conditions in Austin Stack Park. They wanted to win full stop but the Mayo intensity in the push up and their dominance in mid field put a halt to their ambitions. We lost but we learned far more as a result, Kerry will change things on Sunday to try to put mayo on the back foot. Some here suggest a sweeper but I’m not so sore that would be a smart move considering the return Kerry are yielding from our attacking half back line. If ye play a sweeper this will invite our defensive runners to meander up the field and I feel it will prove very costly should Horan take that option. The high press and high intensity is what troubled our players on the 16th, Mayo are big men with years of strength and conditioning to call on and the conditions on the night afforded Mayo an added opportunity to make their presence felt and they didn’t waste it, hard to beat experience in tight games. Ah now, could you quantify the ‘downs’ Aido has had during the league? Good Morning Bloggers one and all i have a gut feeling Mayo will win by 4 points . 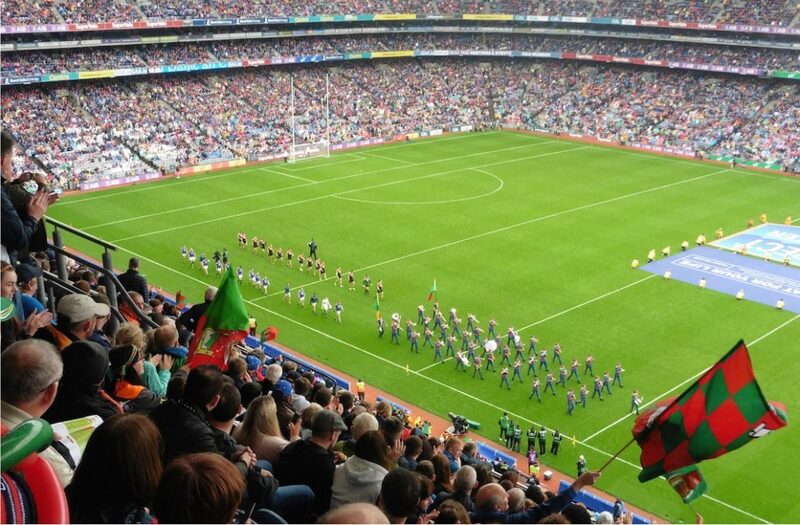 Tell me any developments on the ticket situation for the Mayo v New York game in May? A back seat to what? What is going on? Why is there always gossip in the run up to a Mayo final? There is no reason Aido can’t play in midfield in Croke Park, saying he can’t is just rubbish based on one game where there was no plan to take account of Dublins superior movement at knockouts and no answer on the bench to it. Aido is well able to play there with a team strategy to cover the flanks at kick out, we now have a more mobile squad to cover the ground Aido cant. It was a huge mistake to ever move Aido out of the middle and an even bigger one trying to make an ff out of him, imagine the player he could have been if allowed to play his best position for the past 5 years! Haven’t a clue who will play on Sunday which is a strange but welcome feeling. Kerry being Kerry will fancy their chances as it’s a second chance to beat us. Just thinking it will probably be more a test of sideline tactics as both sides are in good form. We need to score around 18 and keep Kerry to 15 or 16. That’s very doable I think. After the no show against Dublin it’s very much a good chance to banish a few bad memories. Lee to mark Clifford or O Shea…? Or both at same time…….? It’s great to have a feeling of genuine confidence going into this one. Obviously Kerry will provide a stiff test and the forward 6 in CP will be a real challenge, but our forwards are showing fluency and our defence (when you allow for all the changes) are definitely able for the challenge. I get that the Championship is what really matters, but it would be great to see these guys have a national title! Am I right in thinking the last Mayo title given in CP was the minors beating Tyrone? 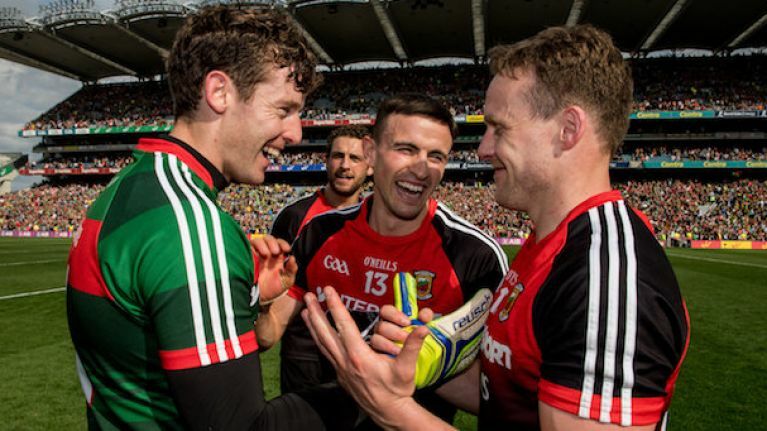 Mayo Focus – that is exactly the team I would start. Would like to see Diarmuid on the 40. He gets isolated at times on the wing. Can influence the game more for CHF. Forget the gossip and rumours and everything else there will always be gossip and rumours best to ignore it just go out and play a game of football don’t even think of it as a final or a cup to be won just think of it as another league game and go and try and win it keep it simple. Mayo Focus. You get my approval also with that team. I think that, taking everything into account including the stage of cycle of evolution which we are at, your team is excellent. I’d be happy to see those fifteen take the field. I cant understand how ppl are leaving Keegan out of the team!?. He’s the best player Mayo have ever had, and i’ve lost count of all the goals he’s scored in big Croker games. Crazy to be leaving him out imo. McDonagh and Plunkett may not be available for Sunday due to injury. As I said he’s had some very good games most notably v kerry. But he also has had some below par performances most notably v dublin, where? You’ve guessed it Croke Park. It’s only an opinion and really hope that if he does play midfield that he gets on as much ball as in kerry. I’ve also put forward my own preferred midfield partnership for this one, Ruane and Keegan, yes it’s a bit outside the box but would surely be a head scratcher for the Kerry management. Agree with others, keegan especially a rested keegan surely must start. Keegan had a virus the last few weeks I believe. I’d echo the view of others in that he is one of, if not the best, player’s we have had in the county. Always performs on the big occasion, scores goals at vital times and nullifies the oppositions best player at the same time. He’d be on anyone’s best 15 of the last 50 years and will be starting Sunday if he’s fit to play. The 2 points he scored against Tyrone in 2016, one off the left and one off the right, after destroying Sean Cavanagh was one of the finest displays I’ve been lucky enough to witness. My season ticket for Kerry was not updated. Froze to death, spent a fortune and had to listen to yerra yerra for the weekend and no match attendance! Was told by the season ticket office that all scanners were working and tough luck. Just not good enough. About 15 were ‘below par’ against Dublin Ah now. Aidan, though not brilliant that day, was still one of the better performers. A few concerns regarding Sunday . 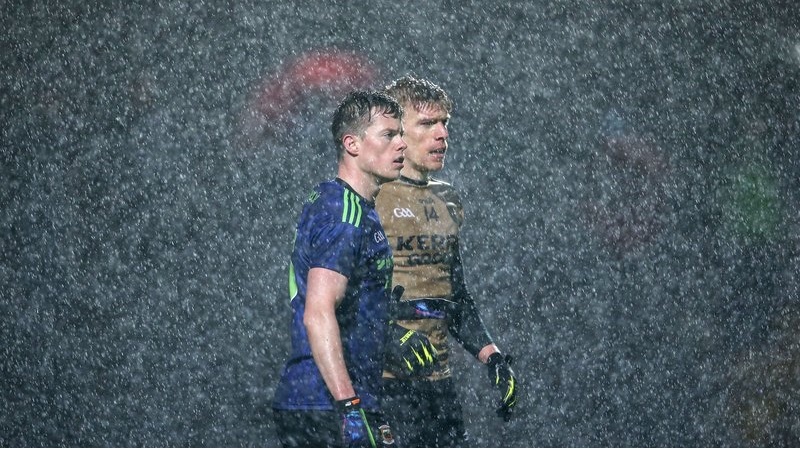 Kerry will be better than they were in Tralee a few weeks ago!… I think I know the way Kerry people think and are after all these years observing them, the vast majority of these times observation from a loosing Mayo position…. Kerry were critized recently by Aiden O Rourke, regarding their collective appetite for defensive hard graft….It pricked them enough for the normally unemotional Tomas O She, to react…. Expect manic hard work from Kerry in defense on Sunday… Kerry received criticism from their own, about their midfield versus Mayo recently, in particular the performance of AOS and Mathew Ruane, I expect Kerry to play close attention to this area of the field…. Kerry will play with the Golden Boy of Gaelic football, David Clifford, expect out cries from the other Kerry forwards if any Mayo back’s as much as lay a finger on the Clifford…No doubt, Clifford is an amazing talent, having achieved so much in football in his young life, it’s no exaggeration to say that David is without doubt the greatest Minor of all time!… But he’s not flawless either, it’s not unknown in the Kingdom for the Golden Boy to pick up a card or two, in Club matches down South, sometimes the colour of the card is Red!…We will have to present Kerry with a different set of problems than we did in Tralee recently. .. Croke Park is not Austin Stacks Park,! A fine spring day is forecast, instead of a Wintery Gale, Day versus Night.. . Despite the fact that it’s the same two football teams playing each other again within 15 day’s….There be more different about next Sunday, than the same… Here’s hoping that the result will be the same. .. Mayo are well set up for just this outcome! re: AOS i kind of agree with ‘Ah now’ to an extent. I think on this site probably as a backlash to Brolly/Flynn and extremists like that we can talk up AOS’s performances a bit too much, as usual truth lies somewhere between the extremes. I think AOS has been immense the last 2 games since moving back to an orthodox midfield role as a primary ball winner.However I thought he was just average at no 11 in the previous games and indeed for the past 18 months or so so glad to see him back in his best position. You are a very wise man and I wouldn’t like to have you on the opposite side side of a battle plan, one thing though is that Clifford is well able to take care of himself and he learns fast. Point I’m making is that all that you can see has been seen by the Kerry managment and I would expect they will have him well briefed, at least I hope they do. Gamechanger 10, …Who me wise? I’m actually blushing now….many would disagree with you as to how wise I am! . Yeah, I definitely expect Clifford to be very well briefed. But who from Mayo will be deatailed to mark him?, I would go with Paddy Durcan, Paddy marked a very similar and equally excellent player, last Summer , Michael Quinlivan of Tipperary, Paddy had his hands full in the first half, and Quinlivan caused plenty of trouble in the first half, scored a goal and a few points… But Paddy adjusted his style of play in the second half, and Quinlivan had no answer to Paddy’s hard running out of defense… Paddy was Mayo’s best player after the break…. I am only guessing, but as of this Thursday night if it were up to me, that’s what I would do…. Still Kerry are no One Man Team, and plenty of other puzzles to fix, before the Silverware goes West or Southwest! Mayo have the tail up after the win in Tralee and we are going into this League Final in fine form. AOS is playing well and along with Mattie the Midfield unit is now locked down. Durcan / Higgins on O Brien? Lets not Worry about the Kingdom just go out and play our own game . Lets impose our Game in Kerry by running fast and hard at the Suspect Kerry HB and FB lines we will win Midfield to set up Attacks. Cormack, Tracey, Drake, Crowe, O Donoghue to come off the bench im confident Mayo will win but it wont be easy. Goals will win this one and we Must Score Goals. Go neirigh an Tadh le Mhuigheo.